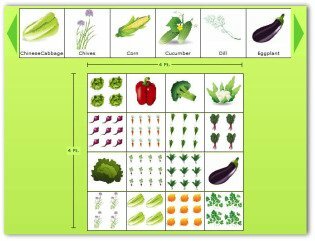 Use our free vegetable garden design software, worksheets, planting guide, zone chart and diary to help design your home vegetable garden! 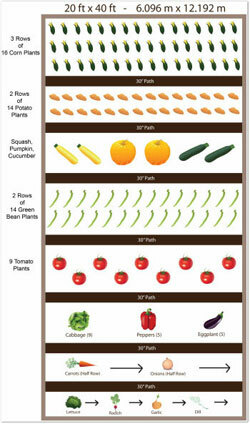 Planning a vegetable garden this year? You've come to the right place for lots of great tips and ideas. 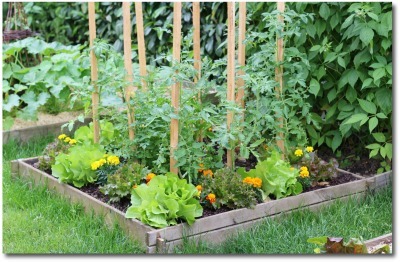 A vegetable garden plan can be created to suit almost any sunny gardening space that you have available. Depending on the space you have available, you may want to try a potted or container vegetable garden which can be grown as a vertical garden to save space. 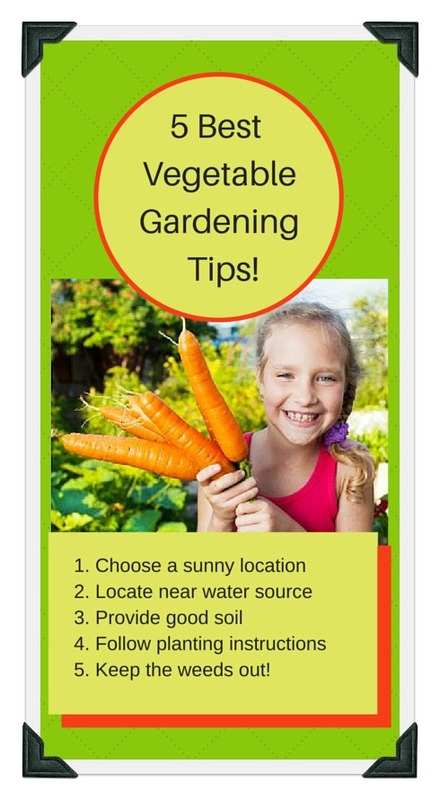 5 Most Important Gardening Tips! 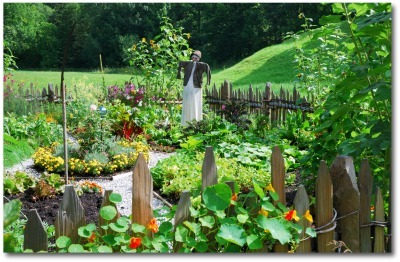 Your vegetable garden design will depend on the area you have available for gardening. Planning a garden design is the first step before planting a traditional outdoor garden, a raised bed or a container garden. Use our handy planting guide, zone chart, and worksheets to start planning your garden today! Usually anything tall, like corn, beans or peas are planted on the north side of the vegetable garden to keep them from casting shade on the shorter crops. 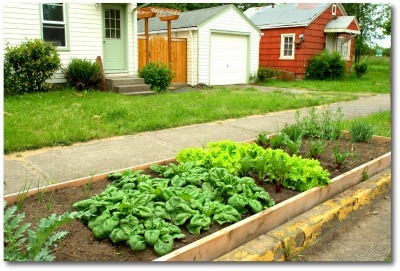 Medium growing vegetables like tomatoes,cabbage, broccoli, and squash should be planted in the center. The southern end of the garden contains the shorter plants, like carrots, beets, lettuce, radishes and onions. 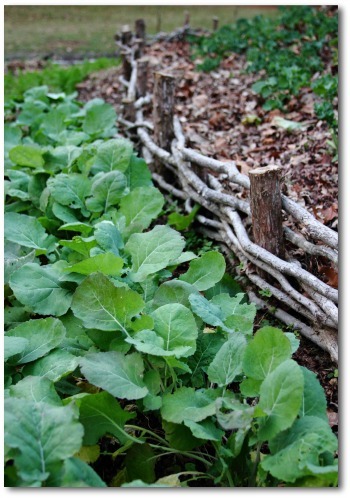 In general, vegetable garden designs run from south to north, to make the most of sun exposure and air circulation. 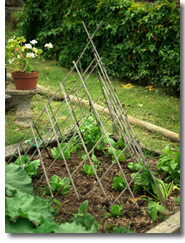 This very basic garden design is meant to make cultivation easier, as well as for convenience when weeding and harvesting. With smaller yards, and urban gardens becoming common, the traditional large backyard garden design is no longer suitable in some situations. This article will focus on showing you a basic and easy method of creating your own rotating garden design. 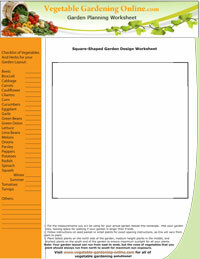 Download our square garden worksheet. Divide the square into four by drawing a cross inside it. You now have a diagram of four square beds that you’ll use as a plan for your very own garden design. The four beds are for the four main groups of vegetable crops. The plants are divided into four categories based on the amount of nutrients that they need to flourish. Below is an example of these categories. Heavy feeders: These heavy feeders demand a lot of nitrogen. 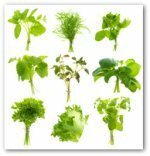 Examples of these are the large leafed plants like lettuce, corn, and even the vine crops like squash. Middle Feeders: These middle-of-the-road feeders are the mid sized leafed plants with above-ground fruits like tomatoes and peppers. Light Feeders: These feeders include the root crops like turnips and carrots. They like potash in the soil. Soil Builders: These types leave more nitrogen in the soil than they take out. Examples of these are the legumes like peas and beans. Each of the four types mentioned above goes into one of squares that you’ve diagrammed, called beds. From top-left and counter-clockwise; Heavy Feeders, Middle Feeders, Light Feeders and the Soil Builders. After every harvest and when replanting each season, you rotate each group to the next square, to reduce pests and soil problems. Make sure that when you rotate these four types, they always follow the same order given here. This means, that when you move the Heavy Feeders, they go to the Soil Builder’s previous position. The Middle Feeders move up to the Heavy Feeders' former position, etc. Try to imagine a baseball game where in your players occupy bases. Each year you move the location of each plant group by one space, changing the location of your plant types. Another benefit of this kind of rotation is that the Heavy Feeders will grow better by transferring to the Soil Builder’s former spot which gives them more of the nutrients they require to flourish. It’s important to know that there are many variations. These are two of the most basic and simple garden plans. 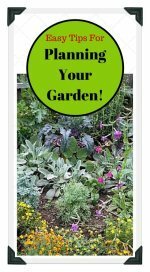 You can certainly use what you’ve learned here and design your own garden by basing it on one of these easy methods.